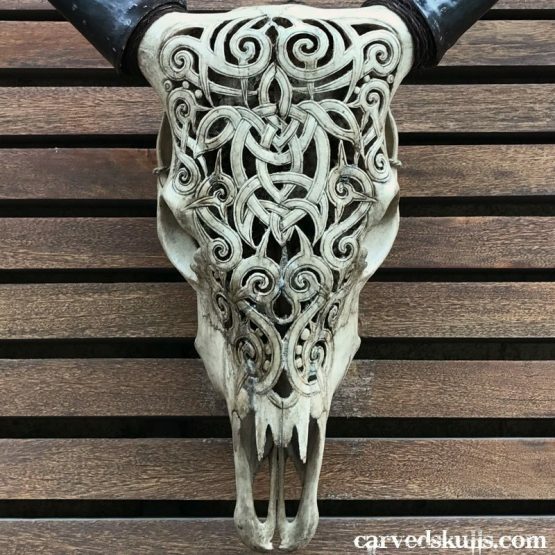 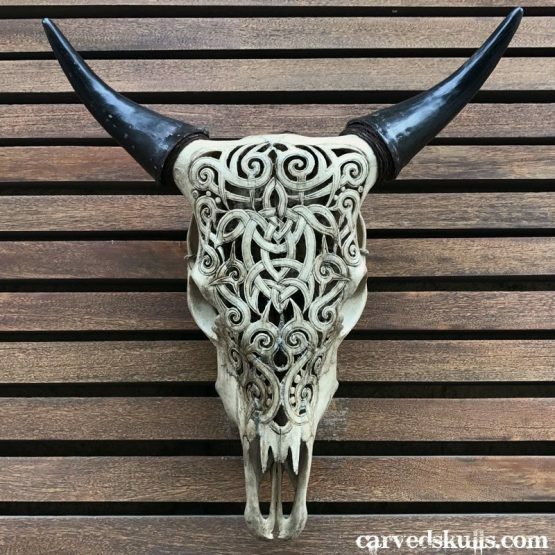 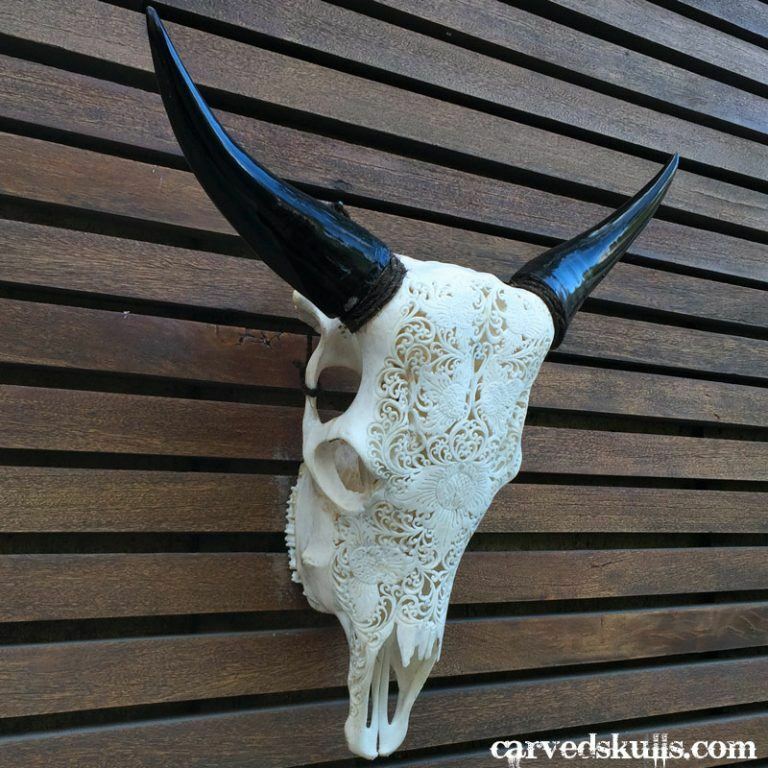 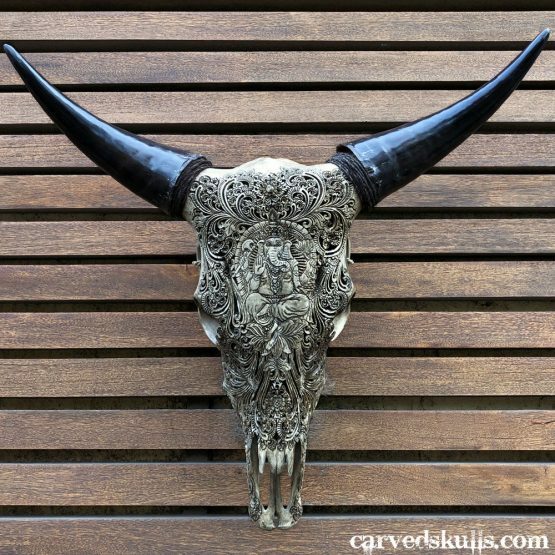 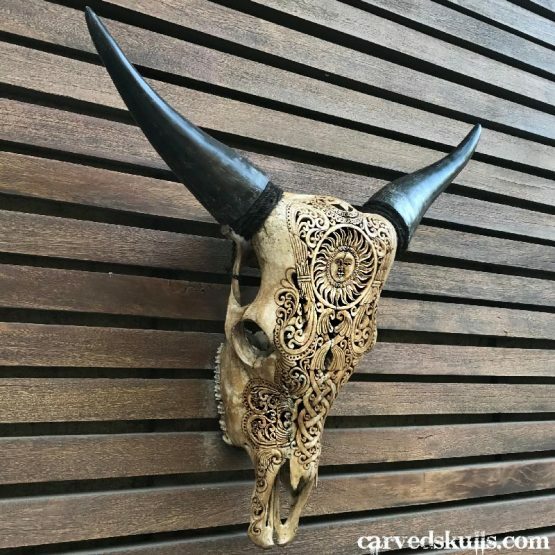 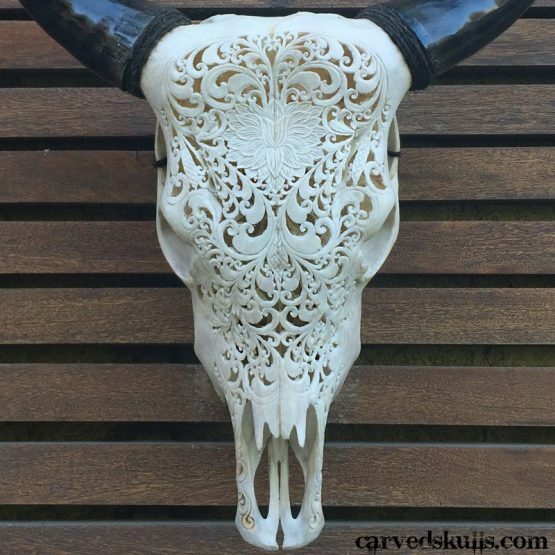 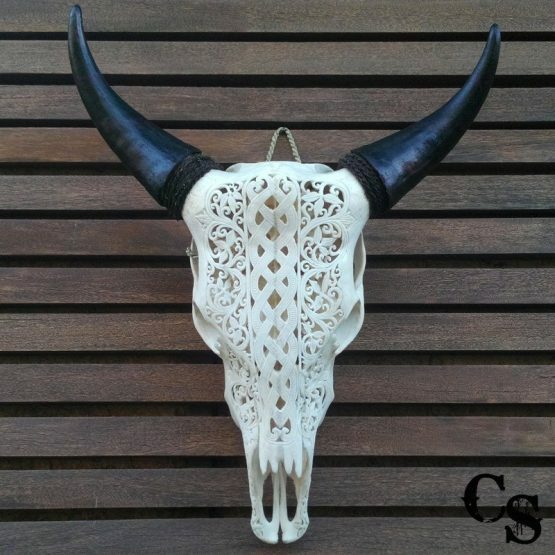 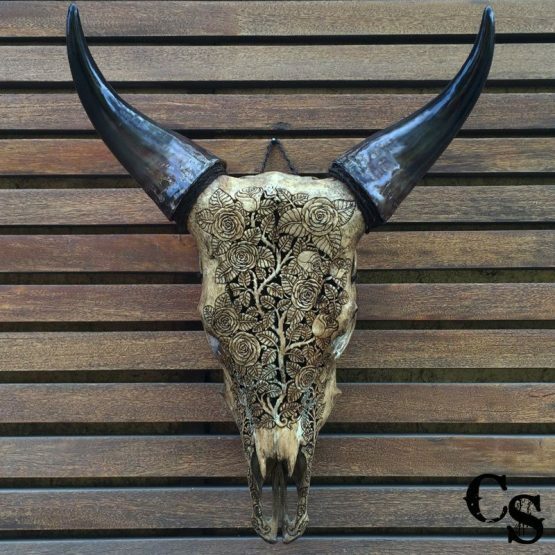 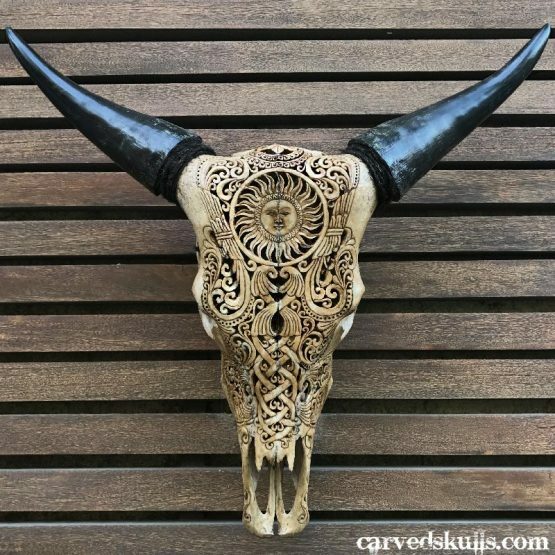 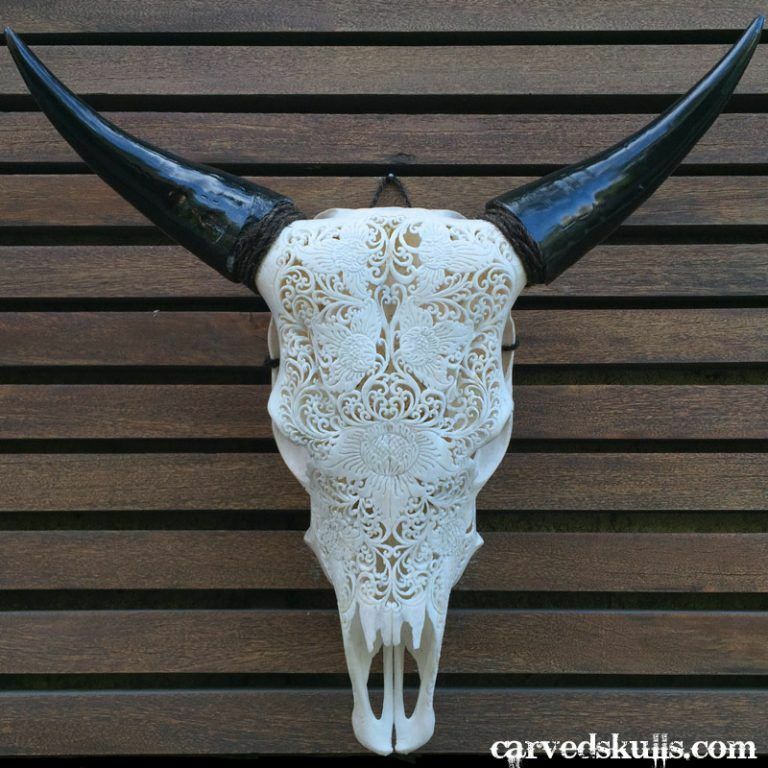 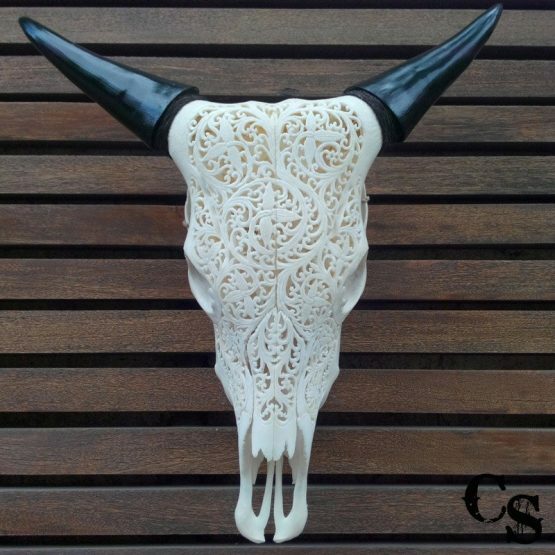 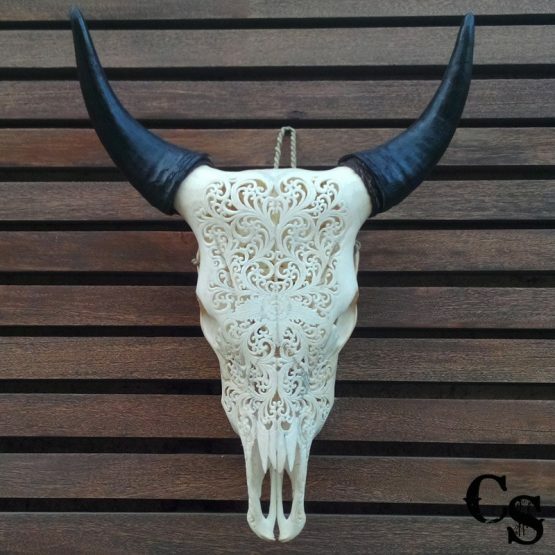 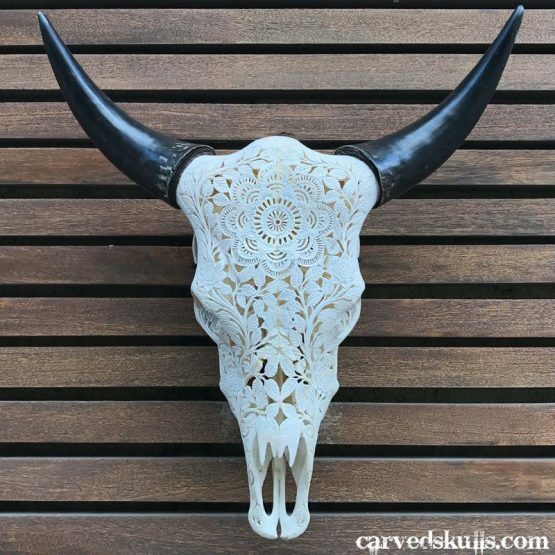 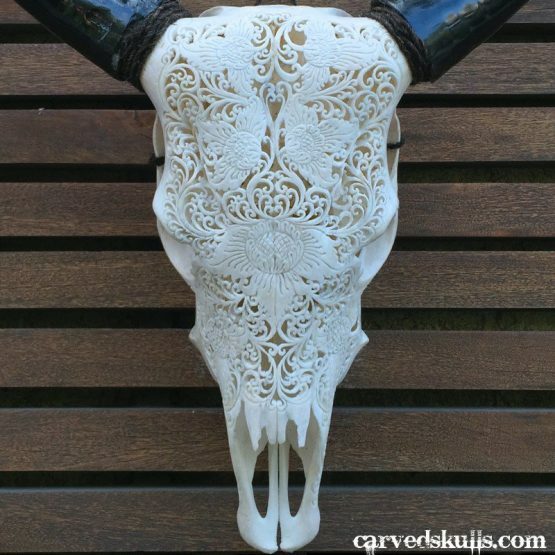 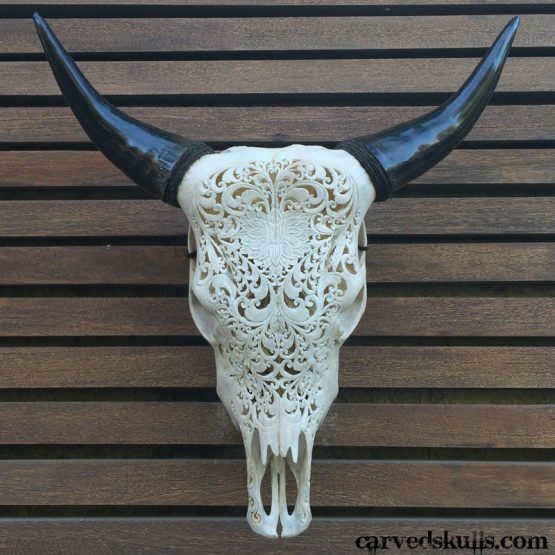 The power of a prairie cow and the elegance of a desert flower are blended in this glorious work of Cow Skull Art, perfect for your rustic home or business decor. 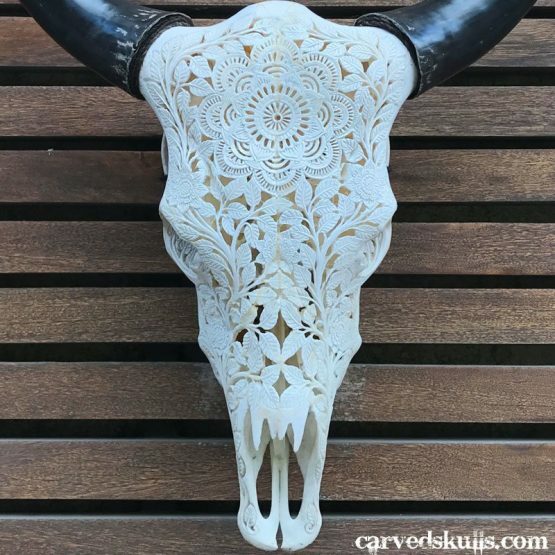 Bringing the majesty of a Western sky into your interior, this Cow Skull design features an intricately carved pattern of filigreed blooms. 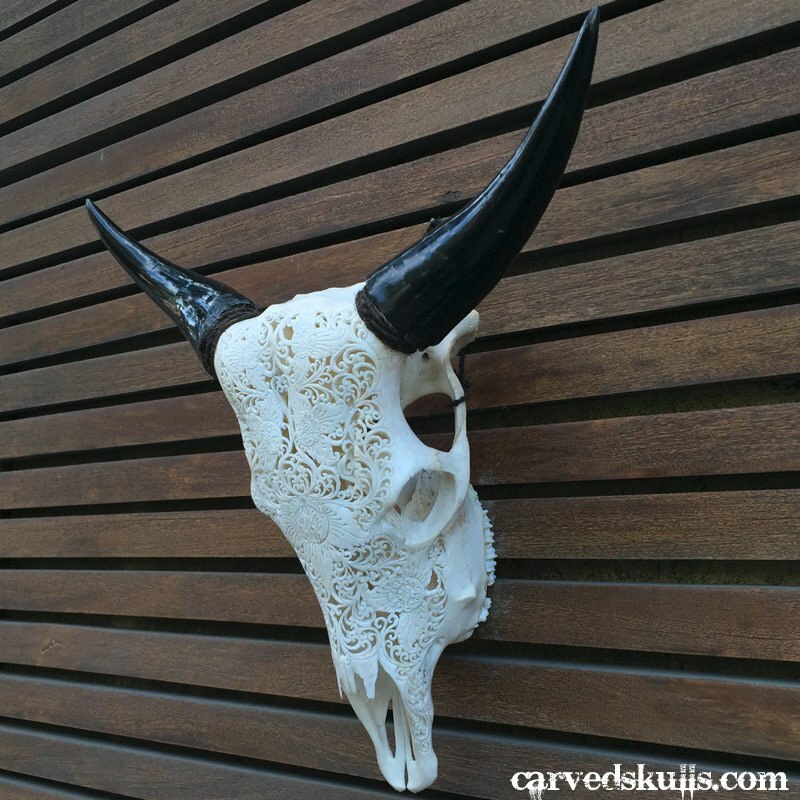 The effect is amazing and visitors to your home or business will be captivated!